For many of us, the centerpiece of our living room is the beautiful view, but with that view often comes an abundance of sun and harsh light. Light filtering window treatments are essential for blocking the UV rays that can damage furnishings and artwork. 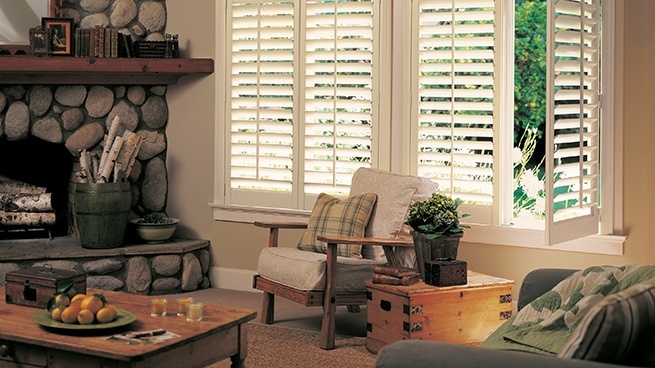 These window treatments can be adjusted to achieve your desired level of light and privacy. If your living room has an entertainment center, look for window treatments with glare-controlling or room-darkening features. 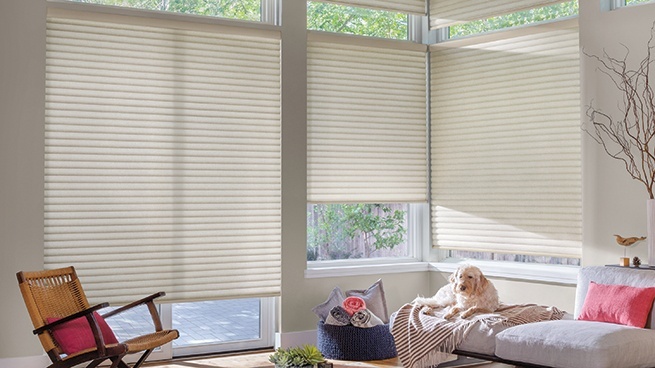 While every window treatment allows you some measure of light control, some offer more room darkening benefits than others. A key consideration is fabric type and color. Sheer fabrics typically soften and filter sunlight, while semi-opaque and opaque versions almost completely block it. If you are looking for optional room darkening capabilities, consider a room darkening liner available on many of our shades. The liner can be sewn directly to the face fabric or, for ultimate flexibility, can operate independently. Another consideration, of course, is your decorating style. 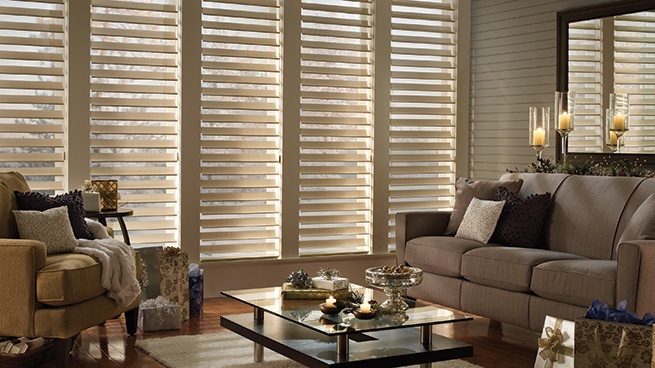 From modern shades to classic shutters, we have window treatments to complement any décor. Take a look at the slideshow below for more ideas. You can also operate your PowerView settings using the PowerView Pebble® Control, or with voice commands using devices from Amazon and, coming soon, Apple® HomeKit™.